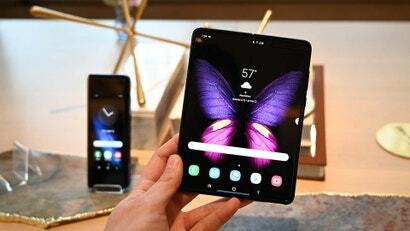 The smartphone in your pocket can perfectly emulate any video game from the '80s, but not the experience of crowding around a cabinet at an arcade, waiting to try the latest hit game. 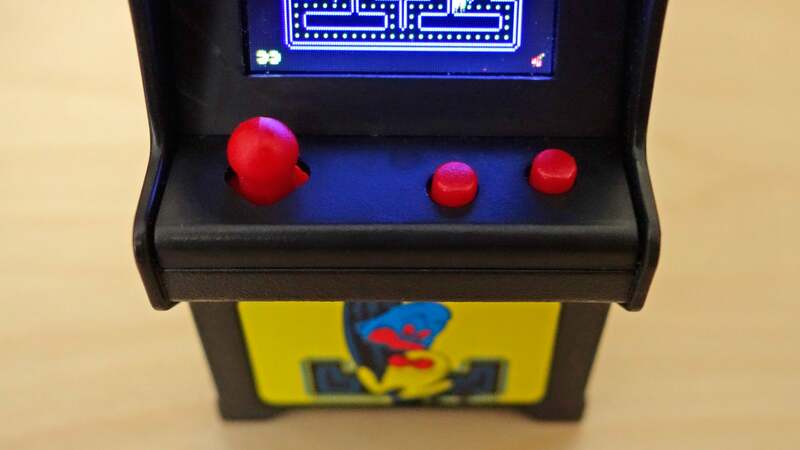 Fortunately, if you're a nostalgic gamer striving for the most authentic retro experience, you can now squeeze an actual arcade onto your desk — without having to keep a pile of quarters on hand. In addition to smartphones, retro gaming fanatics have countless other options if they want to replay the games they so fondly remember. Even companies like Nintendo have discovered nostalgia's potential for profit, releasing tiny versions of the NES and SNES packed with highlights from the 8-bit and 16-bit eras of gaming. So does a tiny, four-inch-tall gaming cabinet with an even smaller 5cm screen provide a better gaming experience than the custom-built Raspberry Pi box you have running emulators on your giant flatscreen TV? No, and I'm not even going to try to make that argument. But there is something charming about these tiny and fully-functional replicas that I love, which has secured them a permanent spot on my already gadget-packed desk. Created as part of Super Impulse's "World's Smallest" brand (which includes everything from minute Hot Wheels cars to miniature Barbie dolls) these Tiny Arcades are designed to be sold as impulse items at toy store checkout aisles at just $US20 ($25) each. 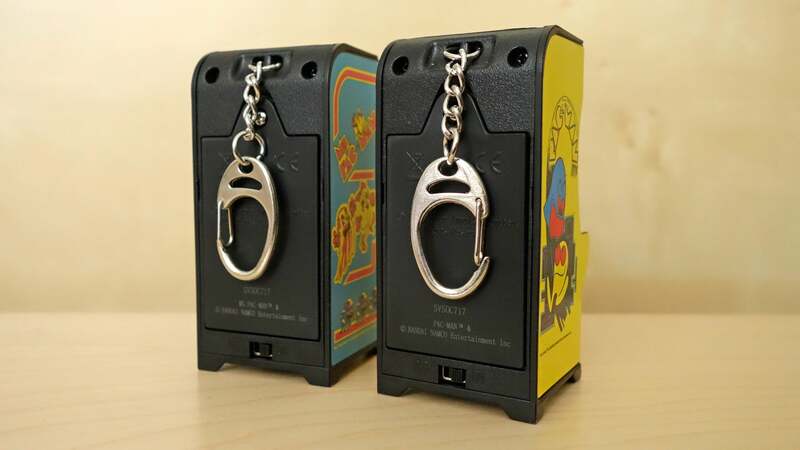 You'll probably want to remove these keychains as there's no way these tiny arcades will fit in your pockets. 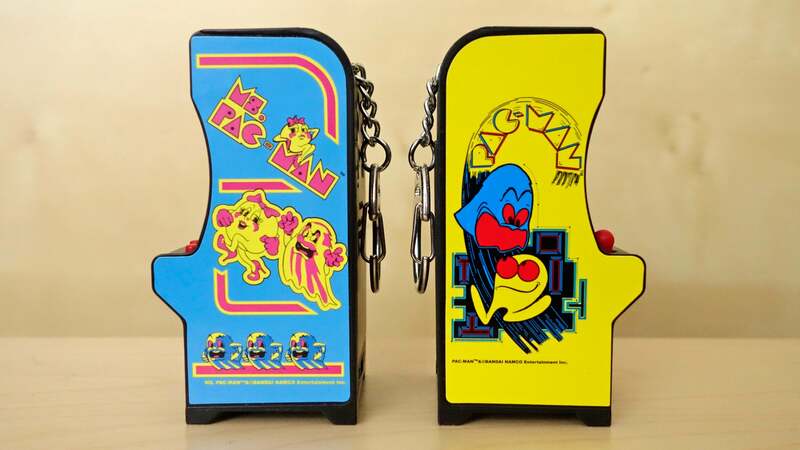 Each Tiny Arcade even features a keyring on the back, but the idea of trying to cram one of these boxy cabinets into my pocket, along with my keys, is ludicrous. I actually think they deserve more credit than would get lumped in with gum, candy, and novelty keychains featuring an incorrect spelling of your name. They deserve a place in your retro gaming collection. The artwork on each tiny cabinet was copied from the originals. I was sent two of the four Tiny Arcade cabinets to try, Pac-Man and Ms. Pac-Man, but Galaxian and Space Invaders are also available. I admittedly don't have a full-scale replica of either cabinet to compare the miniature versions too (or access to a 30-year-old arcade) but based on photos of the originals I found online, Super Impulse has really gone the extra mile to make these tiny arcades look as authentic as possible. 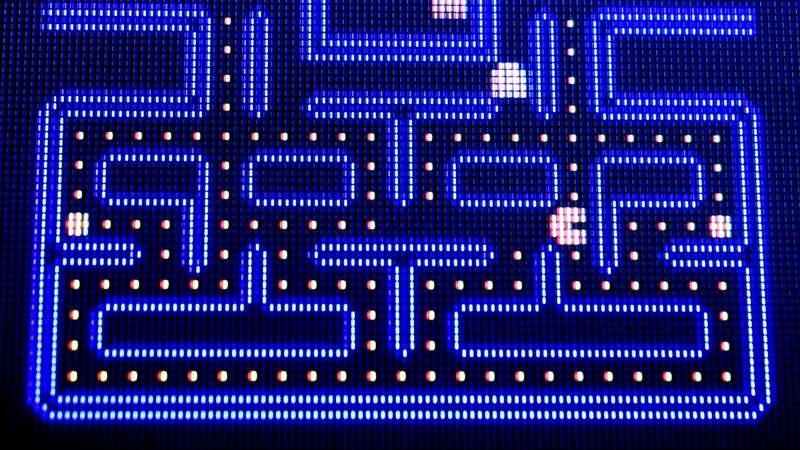 The half-tone printing effect on this light-up marquee adds to the authentic feel of these tiny arcades. Even the tiny marquees on each machine feature the same artwork as the originals did, complete with an '80s-era halftone print job, and an uneven backlight now provided by an LED. The original Midway and Bally branding might be missing, but Super Impulse has put an impressive amount of detail into these $US20 ($25) replicas. The buttons on a calculator feel better than the clicky buttons and joystick on these arcades. So how well do they play? That $US20 ($25) price tag starts to make a little more sense here. Each of the four Tiny Arcades includes a joystick, and a pair of action buttons, whether the game needs them or not. Unfortunately, all of the controls feels unsatisfyingly clicky, and nothing like the buttery smooth joysticks and buttons arcade machines are typically known for. 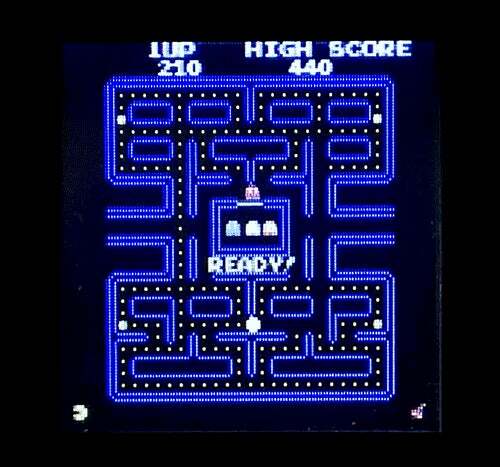 It's not surprising given how tiny these controls have to be, but you're going to have a really nightmarish time making it to the Pac-Man map 256 kill screen. These replicas are definitely better for quick pick-up-and-play gaming sessions, not marathons. The low-res screens are the biggest let-down of these tiny replicas. Even if you wanted to try to play for hours, the Tiny Arcade's screens will further hinder your high-score attempts. 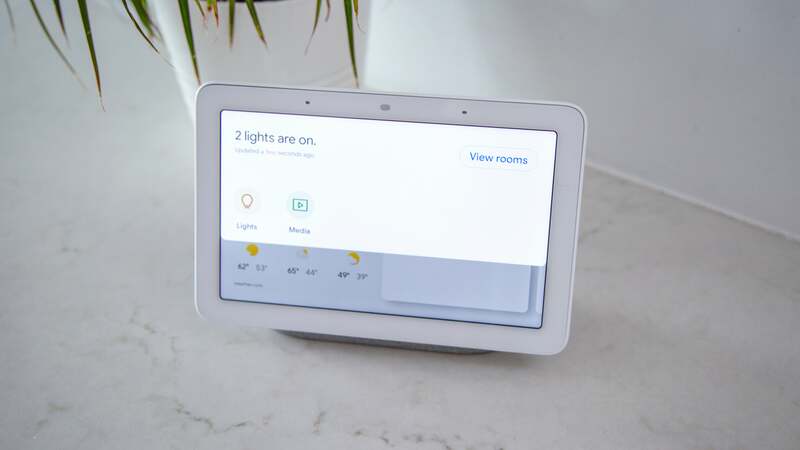 To keep the price tag at the $US20 ($25) impulse purchase level, each tiny cabinet uses a very basic, 5cm LCD with less resolution than most smartwatches . 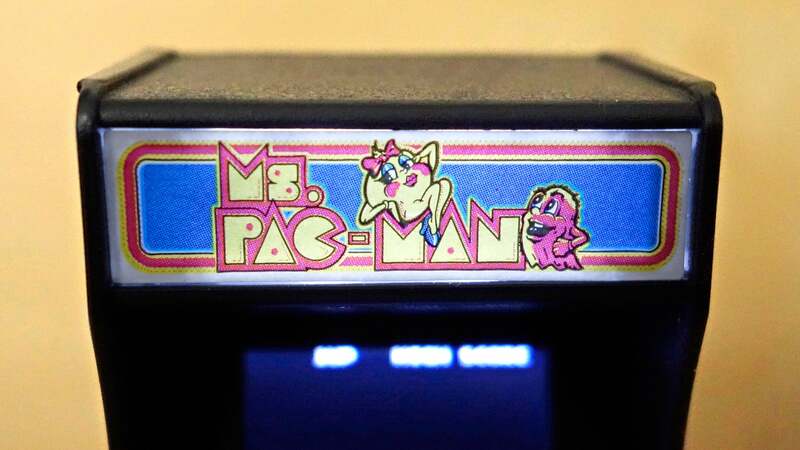 As a result, Pac-Man and Ms. Pac-Man end up being only about five pixels tall on screen. That is very, very tiny. It won't take long for your eyes to rebel after staring at these tiny screens. I've somehow managed to avoid needing glasses my entire life, but squinting at these tiny screens for longer than five or ten minutes left my eyes feeling taxed and strained. And that's the most disappointing thing about Super Impulse's Tiny Arcade machines. They feature great artwork, passable controls, original gameplay, and authentic sounds that will transport you back to an '80s-era arcade, but ultimately they're far from the ideal way to experience these classic titles. That being said, at $US20 ($25) each I will happily add every one of these to my retro gaming collection. Had Super Impulse splurged on a high-res OLED display, and incredibly sensitive and fluid controls, these tiny consoles would end up costing closer to $US40 ($51) or $US50 ($64), and I'd still end up playing classic games like Pac-Man on a better retro gaming setup. You know how pilots and travel agencies have those tiny detailed replicas of aeroplanes sitting around? That's what these Tiny Arcade cabinets are to me; reminders of an era of gaming I once enjoyed, but am not sad to see gone. I'll still play them from time to time as they definitely make for a satisfying and brief distraction from work, but I get more satisfaction just from seeing a tiny working arcade every time I glance over at the corner of my desk. 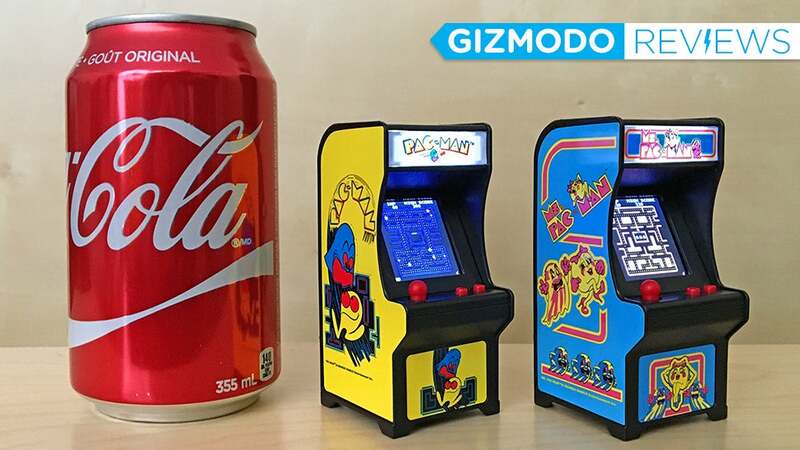 A lot of work has gone into making these tiny arcade cabinets look as authentic as possible. Fully playable recreations of Ms. Pac-Man, Pac-Man, Galaxian, and Space Invaders with authentic sounds. Tiny buttons and joysticks are stiff and overly clicky, making high score attempts even more challenging. 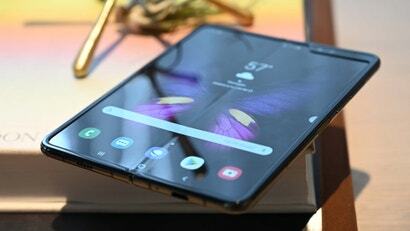 Tiny, low-resolution screens will strain your eyes during even short gaming sessions. At $US20 ($25) each, they're still a great addition to any retro gaming collection, and a fun desk toy.